Beauty Safer products at your hands.Beautycounter’s mission is to get safer beauty products into the hands of everyone. We believe that products can be beautiful, effective, and significantly safer. 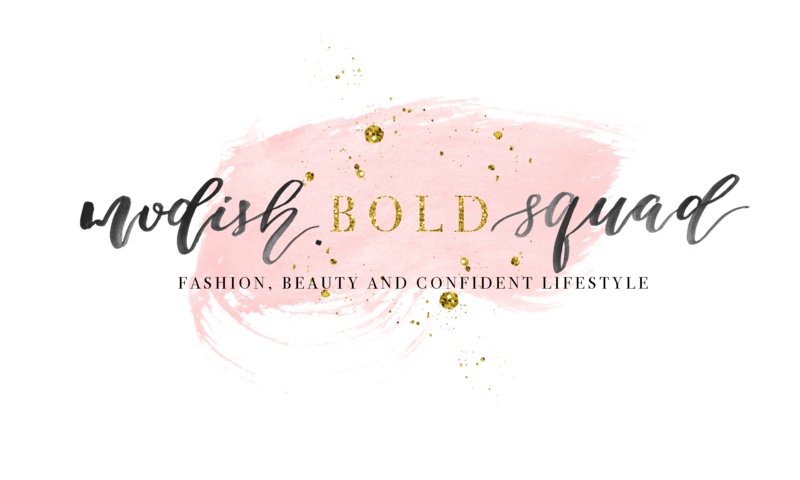 Welcome to Modish Bold Squad! "Nourishing the soul while Glamming up the body"
Beautycounter’s mission is to get beauty safer products at your hands. We believe that products can be beautiful, effective, and significantly safer. The products we create meet incredibly rigorous standards. They have to pass our ingredient selection process, they have to perform, and they must meet your personal standards and be as good or better than the brands you already love. That’s why, to date, we’ve already sold more than 240 million products. We believe no other company in the industry is delivering on both performance and safety to the extent that we are. The reason I join Beautycounter is that I’m is a licensed esthetician and I feel that I need to provide safer options to my clients. I’m happy to be part of Beautycounter and I know that I going to be part of a big change in the beauty industry. But you don’t need to be a professional to share the mission. We have a good training program, and we learn every day. Do you know that is perfectly legal for companies to use harmful ingredients in the products we use on our skin every single day? The European Union prohibits the use of more than 1,400 ingredients from personal care products. The U.S. has banned or restricted 30 ingredients, while Canada has banned nearly 600. At Beautycounter, we believe that when you know better, you do better. We believe our products are some of the safest on the market and disclose every single ingredient evaluating every ingredient for safety, also we help our consultants to become successful entrepreneurs and champions for better beauty. We invite you to review The Never List. Check the labels on your favorite products, and see how they compare. Our goal is to educate you so you can make more informed choices. The first way is as a client. Begin to educate yourself and start making safer choices for you and your family. When you become a client and use Beautycounter products, you can be assured that you are enjoying safer products that perform. The second way is as a Band of Beauty Member. Members enjoy perks such as free shipping on orders over $100., product credit to use on future purchases, and special surprises and delights that are only available to those in the program. The third and, we believe the most exciting way is as a Consultant. Our Consultants are passionate about our mission and want to share it with others. We have some Consultants who work four hours a week and others who work 40 hours and make a full-time income. There is a place for everyone in Beautycounter. Consultants save 25% on products and receive income based on their sales and building a team. Meet the NEW product for this SUMMER and you need it! A safer sunscreen for safer sun time. Protect against damaging UVA, UVB and Blue Light with this lightweight, water-resistant sunscreen lotion. Formulated with non-nano zinc and antioxidant-rich California Poppy. This physical formulation provides an effective shield from skin-aging rays while being gentle and pleasant feeling on the skin. Smooth, nourishing formula blends evenly onto skin with limited white residue. Technology: At Beautycounter, we prohibit chemical SPF filters due to their high potential for skin irritation. We prefer to use physical sunscreens, more commonly known as mineral sunscreen. Zinc oxide or titanium dioxide, sit on the surface of the skin and physically bounce or reflect sun’s rays away from the skin. Mineral sunscreens are great for people with sensitive skin as well as babies and kids. Formula: Our lightweight, water-resistant sunscreen lotion uses non-nano zinc oxide. We never use Octinoxate or Oxybenzone, ingredients are known to contribute to the collapse of coral reefs around the world making our sunscreens safer for both people and our oceans. I hope you are enjoyed learning a little bit more about Beautycounter and our mission, products, and opportunity. Asking questions are truly pleasant thing if you are not understanding anything totally, but this piece of writing presents fastidious understanding yet. Be my guest and take ideas!!! Hi, i think that i saw you visited my blog thus i came to “return the favor”.I am trying to find things to improve my web site!I suppose its ok to use a few of your ideas!! We stumbled over here coming from a different website and thought I may as well check things out. I like what I see so i am just following you. Look forward to finding out about your web page yet again. Amazing things here. I’m very glad to look your post. Thank you a lot and I am having a look forward to contact you. Will you kindly drop me a e-mail? I’m Ilka Tamar a professional model with more than 20 years of expertise in the fashion and modeling industry. I create this space to share all my tips and skills to you, my cherished followers.